A good place to start your tour of our city is the National Park Service Salem Visitor Center at 2 New Liberty Street, across from Museum Place parking garage. From this central location, many of Salem's attractions are within an easy walk along The Heritage Trail (the red line). 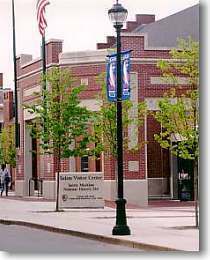 Information is available in the Visitor Center about what to see in Salem as well as in other areas and communities of Essex County. Just around the corner on Essex Street, you will find the Peabody Essex Museum, founded in 1799 as the Salem East India Society. Members of the Society were required by the society's charter to collect "natural and artificial curiosities" from beyond the Cape of Good Hope or Cape Horn. 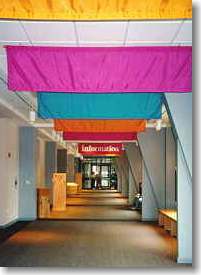 In 1992, the Peabody Museum of Salem merged with the Essex Institute to form the Peabody Essex Museum. The large collections of art and history are diverse and fascinating. Ongoing and special exhibitions alone make a visit worthwhile. 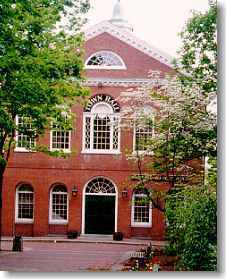 The museum's beautifully restored Philliips Library contains local historical resources such as genealogical information, early photographs, local memorabilia, and documents dating back to Salem's founding. You can also tour a number of the museum's outstanding historic residences which are located nearby. 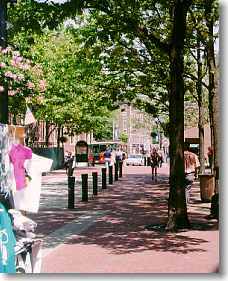 From the Peabody Essex Museum, as you continue west along the Essex Street walking mall you'll see many shops and restaurants, as well as the Witch History Museum. 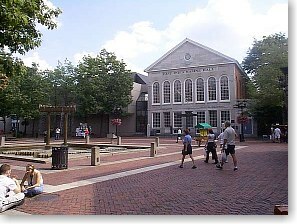 Derby Square is on your left and here you will find Salem's old Town Hall, opened in 1816 and used as city government's headquarters until 1836/37. The Heritage Trail will lead you along Essex Street to a right turn. 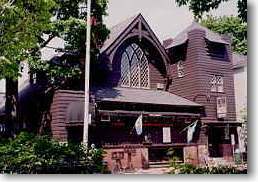 It's a short block to Lynde Street and The Witch Dungeon Museum where live reenactments of a Salem Witch Trial adapted from 1692 transcripts are a unique experience.